Decay in Nigerian university system: Who is to blame? GREAT was my joy and I presume, that of Nigerians, when the Academic Staff Union of Universities (ASUU) called off the five months old strike on the 17th of December. This really can and should qualify as a Christmas gift from the Federal Government. 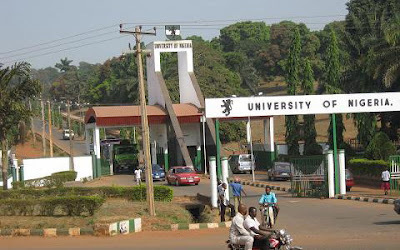 This protracted industrial action was necessitated due to the failure of the Federal Government to implement the 2009 (now 2013) agreement aimed at improving the university system. Ever since they began the strike I was their faithful adherent; I even wrote two articles supporting their cause, which made me become a pariah among my peers. Even though I was at the suffering side; being at home while my counterparts in private universities and even overseas were in session. I reasoned that it was a fight not for the short term but for the long term and also because as a student, I have a first-hand experience of the rot, decay and anomaly in the educational sector, which is in dire need of salvation. This rot was confirmed by the report of the Committee on Needs Assessments of Nigerian Public University, which was presented last year November to the Federal Government. Among its findings the committee noted that “the physical facilities of the universities were inadequate, dilapidated, over stretched, and improvised. In the area of laboratories and workshops,” it notes among others, equipment and consumables are absent, inadequate or out-dated. While Kerosene stoves are used as Bunsen burners in some laboratories”. In the area of academic staff, the report states that “many universities are under staffed, while a large number are under qualified”. For example “only seven universities have up to 60 per cent of their academic staff with PhDs, while some universities do not have more than one professor in the university”. Also the teaching staff-students ratio is very high in many universities: “National Open University of Nigeria 1:363, University of Abuja 1:122, Lagos State University 1:114,” when compared to schools with world repute the difference and impact is clear; “Harvard 1:4; MIT 1:9; Yale 1:4, Cambridge 1:3”. In the area of non-teaching staff, the committee states that the universities are over-staffed with non-teaching staff, in fact the number of non-teaching staff is twice the number of teaching staff. Many have accused the government alone as the cause of the afore-stated problems. Not only is this absolutely false but it is very dangerous since it prevents us from tackling the real problems, which ultimately leaves the problems unsolved. There is no doubt that the government has always demonstrated apathy towards quality education, which has been exemplified in inadequate funding and improper supervision, which has necessitated continuous strikes and other forms of industrial disputes for donkey years, but I think the lecturers, who are also ASUU members, and the administrators of the university have a major role to play. From a more general perspective it is on record that money is neither the driving force of any venture nor the determinant of its success but the dedication and capacity of the workers. There are various examples to support my stance, many business ventures the likes of Microsoft, Apple, Ford, McDonald, when they started, began with little money and was between the family members or a few friends but with dedication and capacity these companies are now reputable and financially buoyant. In the university environment, I do not think that the lack of funds is the main and only reason for the failure in the educational sector. I may agree that the monies universities receive from the government, IGR, grants and donations are not sufficient, but the question which has to be tackled is, the “little monies” the university authorities have gotten how have they used them? There is a consensus that if those little monies have been used judiciously the decay would not have gotten to this stage. Just as I congratulate ASUU for succeeding in getting the government to kowtow to their needs, many are sure that the money will not reflect in the university sector, because of the high rate of corruption among ASUU members. The committee under reference notes also that “the university management, spend millions to erect super-gates when their libraries are still at foundation level; expend millions to purchase exotic vehicles for university officers even though they lack basic classroom furnishings; Spend hundreds of millions in wall-fencing and in-fencing when students accommodation is inadequate and in tatters; are more interested in spending money on creation of new programmes instead of consolidating and expanding access to existing ones”. I think ASUU has to find a way to tackle the growing rate of corruption among its members. Corruption among illiterates though unpardonable and bad is understandable, expected and can be tolerated but among intellectuals who are supposed to be beacons of virtue and leadership in the society, it is unspeakable, shameful, spiteful and ignominious. ASUU also has to tackle the dropping rate of the intellectual life of many lecturers, because many have forgotten what the vocation of teaching entails. Though not a vocation to abject poverty neither is it a vocation to affluence and luxury. It is a call to service. Rather than focus on enriching themselves through researches and contribute to social dialectics and contemporary issues, many lecturers spend time comparing themselves with politicians and petroleum workers and are yearning to have similar bulging bank accounts, they no longer glory in the education of the youth which is the country’s only true and valuable asset. This shows a crisis of values in the intelligentsia. We have intellectuals who not only are lazy but when they put their heads on the pillows they do not dream, many who claim to be engineers, have not developed any machine even simple ones like a water filter to help those in the villages purify borehole water well. How then can they train future engineers? According to the committee report’s, no Nigerian academic is in the league of Nobel Laureates or a nominee of Nobel Prize. In the past three years there are only two registered patents owned by Nigerian Academics. This is not surprising since while their counterparts in Europe and Asia reserve the evening for brainstorming, our Nigerian intellectuals quaff away at the bars and staff clubs, and they always complain of lack of funds. The educational sector has never been known to be a place where the teachers are very rich but it has always been known to be the oven where young people are baked into men and women of character and learning. But because of the corruption among some lecturers, many university graduates are half-baked since their lecturers have little or nothing both academically and morally to offer. That is why many Nigerian Graduates are unemployed. Their unemployment is not as a result of unavailability of jobs in Nigeria, after all, many companies keep “importing” workers from neighbouring countries and even from China, India and Lebanon, but because the graduates are not skilled or employable. Also rather than preach and encourage magnanimity, peace, nationality, creativity, critical thinking, virtue and ingenuity, our university system teaches and encourages vices, ethnicity, cramming, conflict, corruption, dullness and insipidness, under the guise that they (lecturers) cannot be challenged; this is not the idea of a university. The future of the Nigerian is in the hands of Nigeria’ literati – the cognoscente, intelligentsia, academics, highbrows, and scholars. The literati of Japan, USA, South Korea, and the Asian Tigers are effecting changes. I want to remind ASUU that with the release of some funds and more in future, all eyes are on them and we are expectant. I plead with the Jonathan-led administration not to joke with the educational sector since it is the bedrock of any meaningful development and the thermometer posterity will use to judge his administration.